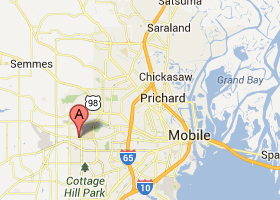 Assisted Living Mobile AL: Is There Any Significant Difference Between Regular Assisted Living and Memory Care AL? Assisted living can be a wonderful option for those seniors struggling with basic care at home. It can provide people the opportunity to live as independently as they want or can, given their physical capacity, but also rely on experienced staff members for help just about any time during the day. Some people have questions, or are confused, when it comes to the difference between a regular assisted living facility and memory care assisted living. Memory care assisted living is for those dealing with memory related challenges. Most commonly these involve some form of dementia, which includes Alzheimer’s. When a person has been diagnosed with any form of dementia, memory loss will be one of the many symptoms they will have to deal with as it progresses. Currently, there is no cure for Alzheimer’s and the average life expectancy for somebody upon diagnosis is between 8 and 10 years (Alzheimer’s Association). Some of the earliest symptoms of Alzheimer’s and other types of dementia is memory loss that begins to affect daily life. A person may begin forgetting things he or she was about to do, may struggle to keep track of conversations they had recently with family or friends, and may go from one place to the next, become disoriented, not remember what they were intending to do or where they were going, got turned around, and possibly even lost. As the memory loss becomes more significant, it can place an incredible amount of pressure on a spouse, adult children, friends, neighbors, and others who may be tasked with trying to help them, keep them safe, and more importantly, keep them home. At some point in time, proper support is going to be essential. 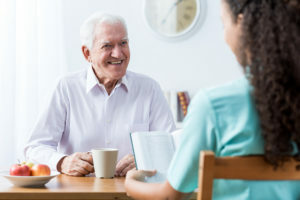 Memory care assisted living will have incredibly well trained, experienced staff members who understand the key dynamics that comprise Alzheimer’s and other types of dementia and memory related illnesses. They will be active in looking out for elderly residents, support them, encourage them, and provide them consistency and routine. Routine is incredibly important for somebody with dementia. When somebody does the same thing, the same way, day after day, night after night, week after week, and so on, that routine becomes habitual. When that person suddenly becomes disoriented, confused, frustrated, and scared, being guided into one of their routines can offer them incredible comfort. It can short-circuit aggressive behaviors and improve quality of life. That’s what a specifically designed memory care assisted living community can offer. It is different than regular assisted living, and for those dealing with dementia, the right support can be found at memory care facilities.